Throughout the years, so many great harness racing comebacks have been achieved. 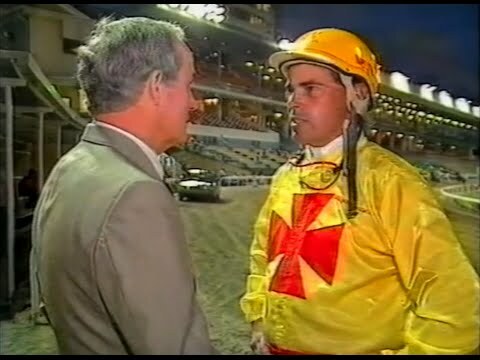 As highlighted on Harnesslink, yesterday marked the 30th anniversary of Popular Alm’s return from a broken leg. Poppy, as he was affectionately-known, scored first-up in the Italian Cup, with his comeback lasting only two starts – for two wins. Seven years after Popular Alm’s injury, which saw two screws inserted into his offside hind pastern, another superstar was on the comeback trail from a similar ailment. Australasia’s premier pacer, Westburn Grant’s career was in doubt after he fractured his nearside hind pastern. Just like Popular Alm, Westburn Grant’s injury was the result of a freak track work accident, with the stallion requiring four screws to hold the bone together. Despite missing the two final legs of the Australian Grand Circuit, Westburn Grant still managed to be crowned Grand Circuit champion for the second year in succession. He was also named Australian Horse of the Year for the second time. After nine months on the sidelines, Westburn Grant scored first-up at Newcastle before returning to his place at the top of the Grand Circuit. In his comeback campaign, the son of Land Grant raced 14 times for five wins, three seconds and two thirds for an Australian seasonal record of $631,355. Westburn Grant’s victories included the 1992 Inter Dominion, along with a record third Australian Horse of the Year title and the mantle as Grand Circuit champion for the third time. Just months before Westburn Grant’s injury, another outstanding campaigner, Sinbad Bay, returned from a 19-month layoff to engage in several memorable battles with Vic Frost-trained superstar. Touted as the best pacer since Popular Alm following his demolition job of the February 1989 Winfield Cup, Sinbad Bay suffered leg problems a few days later before returning with a Kilmore win in October 1990. Limited to 12 starts before his war torn legs had him sidelined for another three years, Sinbad Bay registered seven wins and three placings, with his victories including the Winfield Cup, which had been renamed the Victoria Cup by 1991. During the course of the next six years, Sinbad Bay made several comebacks and raced with distinction at the highest level. Arguably the greatest comeback of all belongs to Blacks A Fake. A feature race winning three-year-old, Blacks A Fake curbed a hock and damaged his suspensory late in the season, which saw him out of action for 17 months. “His hock was in pretty bad shape and he also had suspensory problems high up on his leg,” trainer Natalie Rasmussen said. “We were more hopeful than confident he would return at the time. Returning as a five-year-old, Blacks A Fake raced on to be the only competitor to capture four Inter Dominions en route to becoming the world’s rich pacer with a bankroll of $4,575,438. On top of his early leg problems, the son of Fake Left also overcame Equine Influenza in 2007. Current star For A Reason is a modern day comeback hero, having returned from a two-and-a-half year layoff to secure the 2013 Victoria Cup. During his hiatus, the Belinda McCarthy-trained son of Art Major stood at stud. While it remains to be seen what heights he will scale, rising star Philadelphia Man was certainly impressive in his racing return at Melton last week. After 27 months on the sidelines, Philadelphia Man registered a scintillating win for co-trainers Emma Stewart and Clayton Tonkin. Another son of Art Major, Philadelphia Man has been aimed at key targets such as the Smoken Up Sprint and Miracle Mile.